Trains depart daily during our season from Chama, New Mexico and Antonito, Colorado. Plan ahead to make us a highlight of your tour of the beautiful southwest region. Our Chama, NM depot is on US Highway 64/84, 47 miles east of Pagosa Springs, Colorado, 95 miles west of Taos, and 108 miles north of Santa Fe. The station is in the center of town along NM Highway 17. 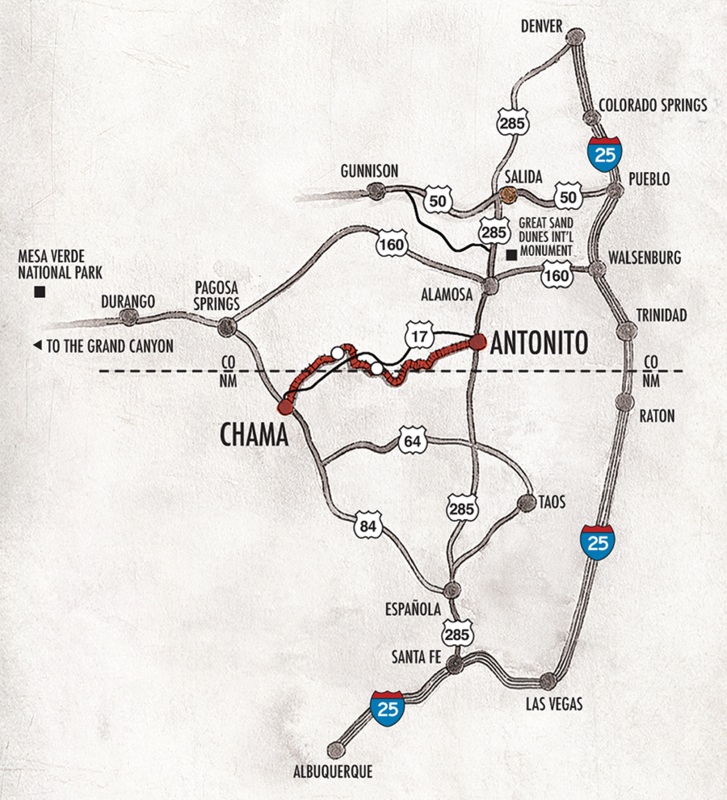 Our Antonito, CO depot is on US Highway 285, 28 miles south of Alamosa, Colorado, and 115 miles north of Santa Fe. The depot is located at the intersection of US Highway 285 and CO Highway 17, on the southern edge of town. Physical Address: 5234 B Hwy 285, Antonito, CO 81120.
drive times from many area cities and towns to our antonito, co and chama, nm depots are shown below. The nearest major airports are Albuquerque International Sunport in New Mexico and Denver International Airport in Colorado. You can also fly into Alamosa, Colorado from Denver International Airport.